Boomgaardsstraat 69 – New Theatre, New Art. Want something different from your trip to inner city Rotterdam? Bored of eating bijou-consumer foodstuffs and pissed off with walking past pop-ups you never go into? Feel like you’re in a human crocodile that just offers a never ending walk through shiny new buildings? This energy centre is starting to be noticed, too. 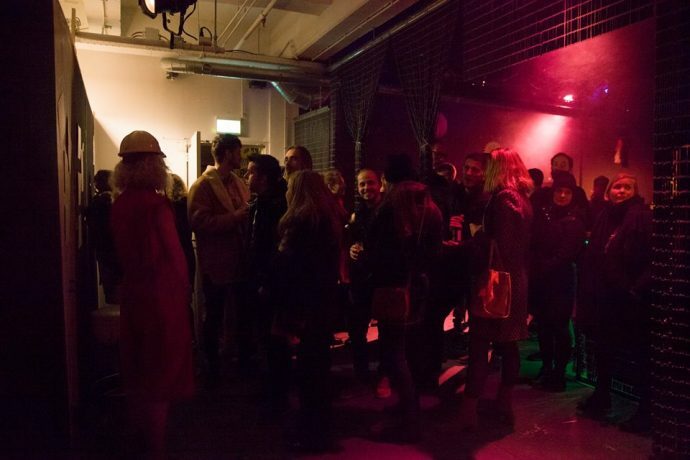 WORM is delighted to say that our theatre and gallery spaces UBIK and S/ash Gallery, and our partners in art-crime, The Performance Bar, have been in the national news of late. The Performance Bar had its say about contemporary theatre in a huge 2 page splash in the NRC. One of their guests, illustrator du jour, Joni Kling, has generated yet more words from the “inkies”, this time in Metro. 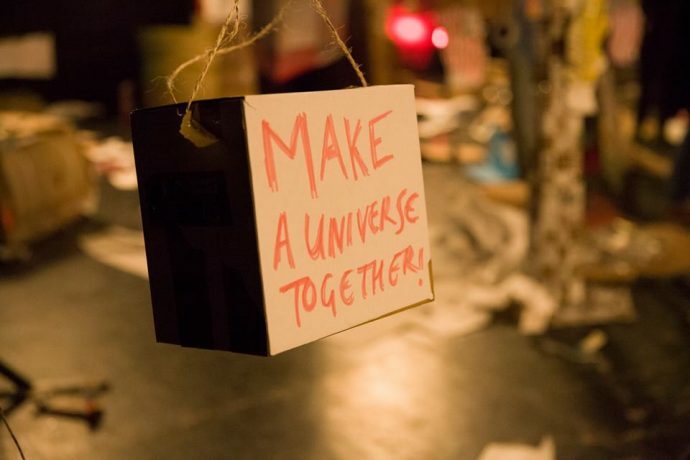 You can also see this energy in the recent film made about new initiative The S/ash Department’s recent collaboration with WORM’s Pirate Bay) and blogs over the many multidisciplinary socio-cultural initiatives we host in UBIK. We found this one (about the recent Iron Maidens guitar workshop) really heartening too. 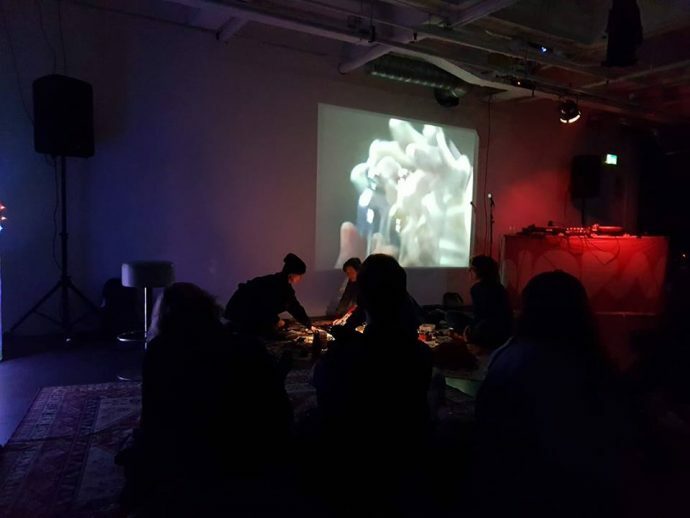 Art Physique: nourishing and affordable food for the brain and soul. 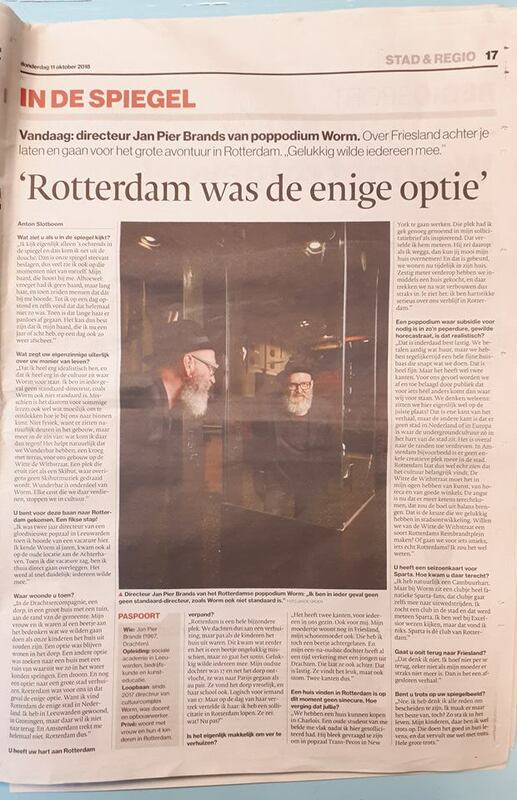 So nourishing in fact, that our General Manager Janpier Brands took the time to explain why Rotterdam is so special in this interview with AD here (picture only, Dutch langauge).